How Will Saturn And Pluto Retrograde 2019 Affect Your Sign? In astrology, no planets inspire as much fear as Saturn and Pluto do — and for very good reasons. Saturn is the planet of discipline, karma, maturity, and commitment while Pluto is the planet of darkness, purging, and transformation. These are the planets that push you when you don’t want to be pushed and force you to delve into shadows that you would rather avoid. Despite how unbearably heavy handed their influence may be, these are the planets that encourage you to grow up. How Saturn and Pluto retrograde 2019 will affect you, according to your zodiac sign, will show you that it might finally be time to shed your skin and move forward. After all, let’s be realistic. Who doesn’t want to grow? Becoming a better, stronger person sounds like a beautiful and elegant process. You think of a butterfly breaking free from the cocoon and spreading its wings for the first time before it takes flight. However, don’t forget that before that life-changing moment, the butterfly was a struggling caterpillar, trying to avoid becoming a predator’s prey. It waited patiently through the long chrysalis period, without any promise of ever making it through to the other side. Like yours, the butterfly’s metamorphosis is rife with accountability, sacrifice, and faith. It requires that you risk everything, because life is not about staying the same. It’s a cycle, and sometimes, the next phase is just as terrifying as it is exciting. Pluto will retrograde from Apr. 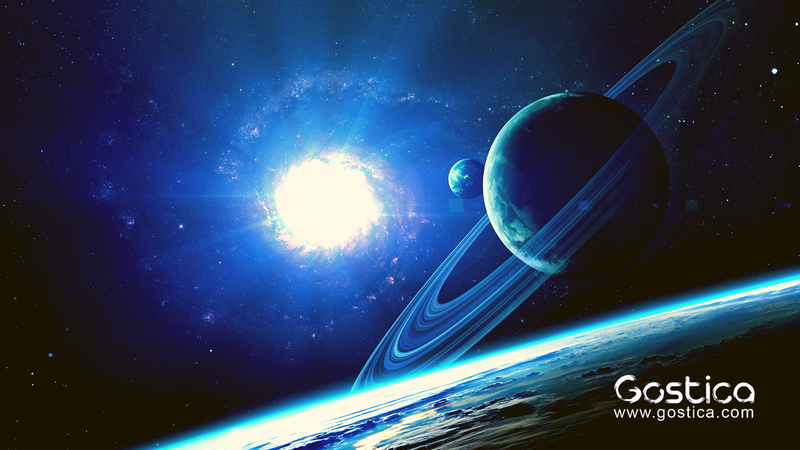 24 to Oct. 3 and Saturn will retrograde from Apr. 29 to Sep. 18. Both of these planets are currently transiting through Capricorn, a cardinal earth sign centered on determination, authority, rules, and career success. With both of these planets stationing retrograde during the same time, you’ll be pushed to rearrange, reinvent, and realize these aspects of your life. Prepare to transform from deep within. Since these retrogrades take place in your 10th house of career and reputation, it’s time to reconsider what mark you’d like to leave on the world. Is your career making you happy? Are you taking a path that’s right for you? Take your dreams seriously and let go of anything in your life that blocks your road to success. You’re experiencing these retrogrades in your ninth house of adventure and philosophy, which will push you to embrace cultural exchange, open your mind to new perspectives, and visit uncharted territories. If you’ve never left your hometown before, now’s the time. It could also be time to start focusing on a form of higher education. With the retrogrades moving through your eighth house of death and rebirth, you’re about to begin a process of facing your inner darkness and purging spiritual and emotional attachments that have no place in your future. This is a time to acknowledge your weaknesses and flaws so that you may know how to move forward. As these retrogrades move through your seventh house of partnerships, you’re understanding what you need out of a partnership on a deep, spiritual level. It’s time to settle for nothing less than the person you deserve, and to embody the characteristics of a loyal, caring, and respectful partner in return. These retrogrades take place in your sixth house of work and health, which forces you to face your harmful, irresponsible, and selfish habits. How you can be more kind to your mind, body, and soul? How can you be a harder, more generous worker? This is a beautiful time for fitness regimes or improvement workshops. As your fifth house of fun and pleasure is reworked by these retrogrades, you’re meant to rediscover your connection to your inner-child. What makes you feel alive? What brings you joy? It’s time to reframe your perspective so that you can allow more creativity into your life. This is a great time to return to art projects. With these retrogrades moving through your fourth house of home and family, you’re tackling issues that are close to your roots. It’s time to establish the home life that you deserve. Understand both the gifts and the trauma that have been given to you by your family and build upon these understandings. With these retrogrades taking place in your third house of communication, this is time to let go of bad habits when it comes to the way you talk and listen to others. Practice integrity and honesty with your word. This is also a perfect time to rethink your daily routine and revamp the way you process information. As these retrogrades spark change in your second house of finances and possessions, it’s time to rethink your relationship with money and material value. What do you really need in order to live well? How can you spend more wisely? Are you placing too much (or too little) value in your level of wealth? With both of these retrogrades traveling through your first house of the self, you’re tacking issues related to your identity, purpose, and self-love. You may be feeling like a different person; someone who wants to affect the world differently than you did before. Don’t be afraid of letting go of your former self in exchange for a new you. Your 12th house of spirituality is being transformed by these retrogrades. Your intuition will be informing you of things that must change and things that you’ve been denying yourself. Expect secrets to reveal themselves to you. You’re becoming more aware of your wants, needs, feelings, and spiritual goals than before. With both of these retrogrades taking place in your 11th house of friends, you may be distancing yourself from a group of people or possibly even becoming involved with a new community. You’re learning what you want and need from your social circle. Let go of people who don’t inspire you or take care of you. This originally published by Elite Daily.